Rhopornis ardesiacus, Slender Antbird, is the sole member of its genus. 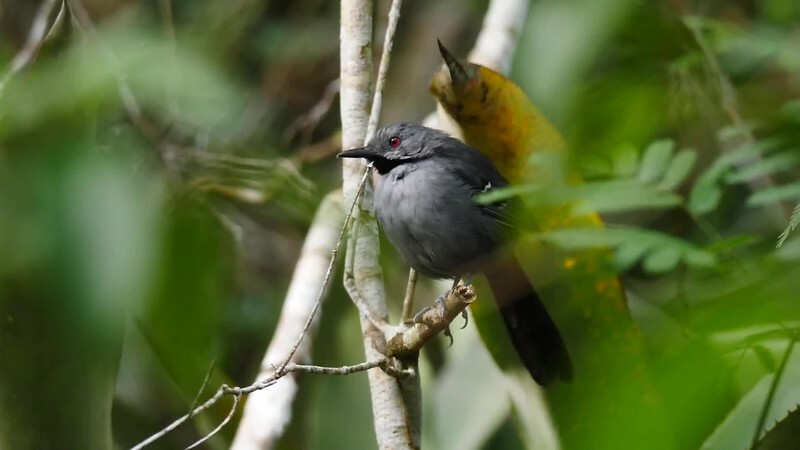 The Field Guides group on the extension to the Nowhere But Northeast Brazil tour in 2019 had lovely looks at this endangered endemic bird, found only in “mata-de-cipó” (vine forest) in Bahia and Minas Gerais states, in Brazil’s new Boa Nova National Park. Video by Bret Whitney.